James John Joynton Smith was born on 4 October 1858 at Bishopsgate, London, and was baptised as James John Smith. He was the eldest of 12 children of ironmonger James Smith and his wife Jane, née Ware. On 20 April 1882 in Auckland he married Ellen McKenzie. He later divorced her and married Nellie Eloise Parker, also a New Zealander, on 2 March 1893 at St David’s Church, Surry Hills. About 1916 they separated and he married Gladys Mary Woods and had a son and a daughter. He died at his Coogee residence, Hastings, on 10 October 1943. James John Smith was educated at a local school and worked in his father’s and other’s shops before running away to sea as a cabin-boy. He arrived in Port Chalmers, New Zealand, in October 1874 as third cook on the P & O liner Christian McAusland. He worked as a hotel licensee in Wellington, becoming secretary of the Cooks and Stewards Union. He came to Sydney in 1890 and was manager of the Grand Central Coffee Palace Hotel from 1892 to 1896. In 1896 he refurbished the Imperial Arcade Hotel as the residential Arcadia. He later owned Hotel Astra at Bondi and the Carlton in the city. He established the first electric-light plant in the Blue Mountains, purchased the Imperial Hotel, Mount Victoria, the Carrington Hotel and two theatres at Katoomba, and leased the Hydro Majestic at Medlow Bath. In 1903 Smith developed the swamp area of Glebe into the racecourse which became Harold Park in 1925 and in 1908 he opened Victoria Park racecourse at Zetland. He was chairman of the Australian Trotting and Victoria Park Racing Clubs. In 1919 Joynton Smith with Robert Clyde Packer and Claude Mckay established the popular Smith’s Weekly, and also published the Daily Guardian from 1923 and the Sunday Guardian from 1929. He retained control of Smith’s Newspapers Ltd until 1939. As a sportsman, James Joynton Smith is remembered for his financial support to football matches between the Wallaby team and the Kangaroos. Proceeds of these matches went to the Royal South Sydney Hospital, Smith’s favourite charitable institution which he founded in 1910. He was the President of the NSW Rugby League between 1910 and 1928 and its Patron from 1929-43. He was a Director of the Sydney Hospital 1911-32 and Wentworth Falls Convalescent House and was the first President of the Picton Lakes T B Soldiers and Sailors Settlement. James Joynton Smith was appointed a member of the Legislative Council, from 1912 to 1934. Sir James Joynton Smith was knighted in 1920. James Joynton Smith was Alderman for Bligh Ward, 1 December 1915 to 30 November 1918. He was a member of the Health and By-Laws Committee 1916-17, the Finance Committee, 1916-17 and its Vice-Chairman in 1916. Smith was Lord Mayor in 1918. 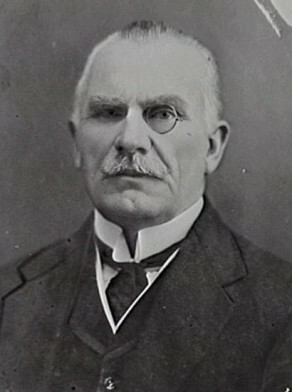 Chris Cunneen, ‘Smith, Sir James John Joynton (1858–1943)’, Australian Dictionary of Biography, National Centre of Biography, Australian National University, http://adb.anu.edu.au/biography/smith-sir-james-john-joynton-8475/text14731, accessed 29 November 2012.